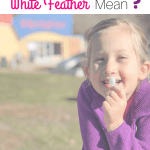 WHAT DOES FINDING A WHITE FEATHER MEAN? Disclaimer: This is my story of finding a white feather and my research on the symbloizm of a white feather. It’s was just another weekend. 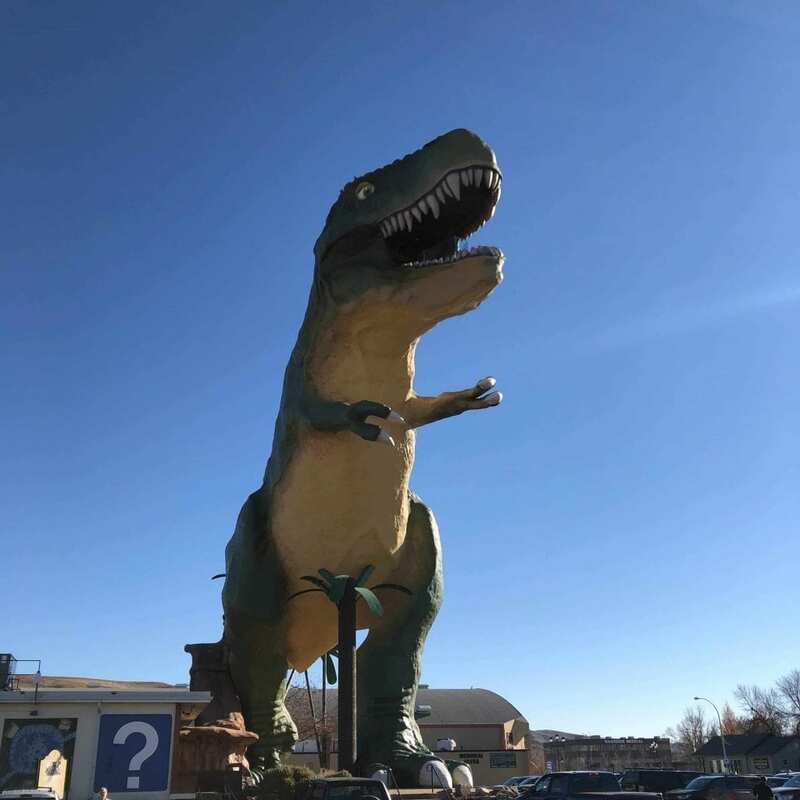 We had decided to take a spontaneous trip to Drumheller, AB to see the Royal Tyrrell Museum. The kids have been bugging us for a while to go but something always seemed to come up. After a quick stop at the Walmart across town for new pants. We decided to stop at the World’s Largest Dinosaur and have a snack in the park before heading back to the museum. 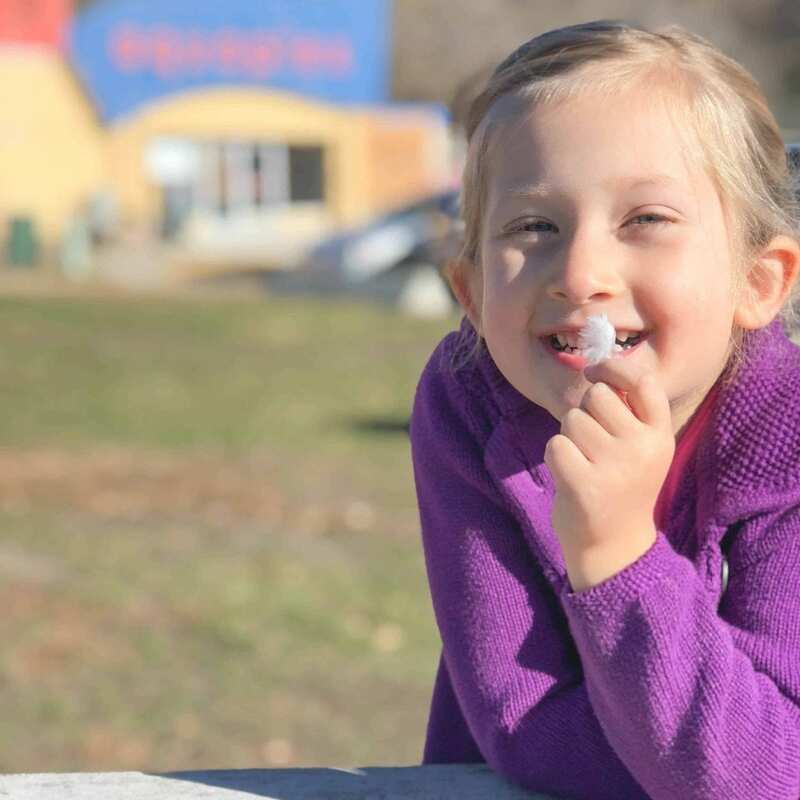 As we sat at the picnic benches, out of nowhere a single white feather floated down by my daughter. There were no birds in sight. It just appeared out of thin air. Now I am not one for symbolism but this was so unreal that I had to do some digging into what it could mean. Here’s what I found. Finding a white feather is a symbol that your angels are near. A white feather is the most common of signs sent from the angels in Heaven. And a white feather is a symbol for faith and protection. Read more here. White feathers are also symbols of angels who are speaking to us. And telling us that our loved ones in heaven are safe. White feathers can symbolize many things. 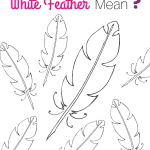 And according to the article found here, white feathers have significance to many cultures. Including but not limited to the Aborigines, Egyptians, Celtics, and the Native Americans. Finding a white feather can mean having a celestial message sent from above. But feathers are also associated with winged animals and insects. And thus finding one of their feathers means that there is a message of flight and freedom. Finding a white feather can also be a symbolism of peace and purity. 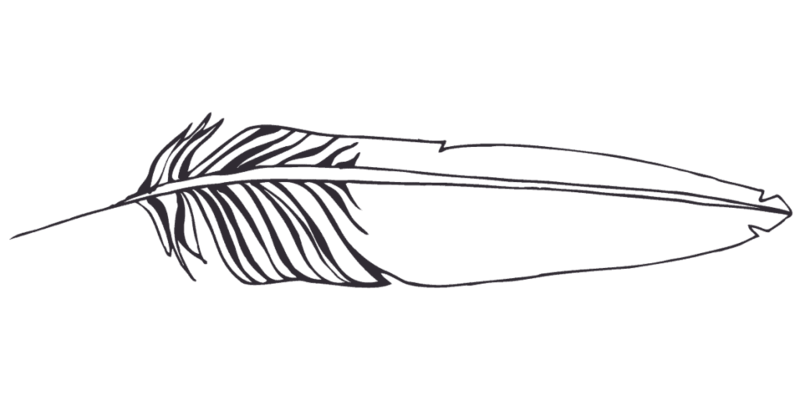 Perhaps the person who finds the feather isn’t spiritual in the sense of Christianity. But there are some cultures who believe it is a message from beyond. And finding a white feather is a sign of the loved one who is watching over you. According this article, , finding a white feather means a guardian angel is watching over you. 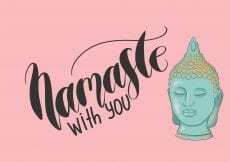 And guiding you through life and your decisions. The article provides an example of a woman who lost her husband and she continued to find feathers. And so she sought out a clairvoyant who informed her the feathers were signs from her husband who had passed on. According to the article here, white feathers not only symbolize purity, peace, love, hope, heaven, angels and protection and signs from ancestors that everything is well on the other side. But they also symbolize a blessing has been bestowed upon the person who found it. As well as it symbolizes wisdom and a connection with the moon. This is important to note because where a feather is a representation of flight and freedom, the moons gravitational pull is grounding for humanity. So it can be argued that finding a white feather is a symbol for clarity for the person who found it. And a grounding experience to help them focus on their current reality and situations. 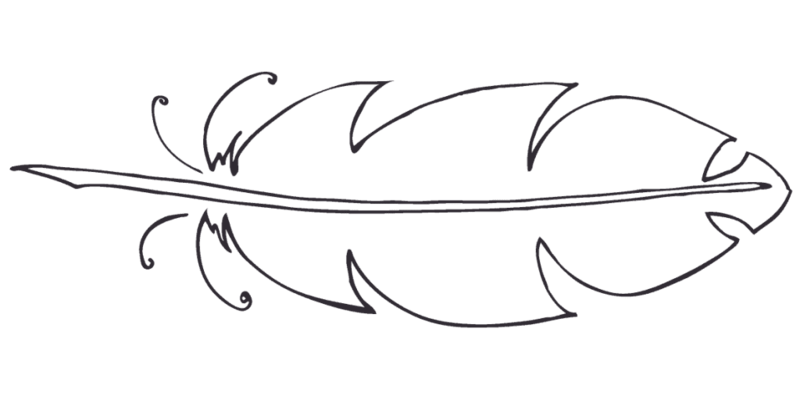 Some cultures, such as the Native Americans, believed different birds meant the feathers symbolized different traits. For example, this site, explains what each bird symbolized. So the feather from a bird which is all white, such as a dove, would symbolize love, gentleness, and kindness. Also, a white feather from a snowy owl would symbolize wisdom, the ability to see things normally, silence and swiftness. A parallel to the belief that there is a connection to the moon when finding a white feather, coincides with the Native’s belief that the white feather signifies seeing things normally. And is that grounding experience. According to the article here, finding a feather means something different for different cultures and religions. For Christianity, it is a representation of charity, hope, and faith. These three concepts could be interpreted as signs of virtue. According to Egyptian mythology, feathers were a symbol of the sky Gods. But also Ma’at, the Egyptian Goddess of Justice. If the sins of the deceased were weighed against the hearts of the newly dead in the underworld, to the weight of a feather, it would determine the worthiness of his or her soul. 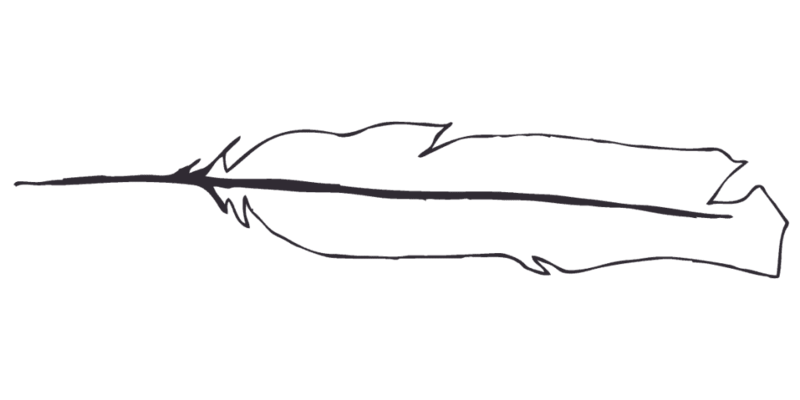 So, the white feather would symbolize the purity of the heart and soul of the person that it was being weighed against for justice. I am not sure what I believe. But it was too unreal not to of been a sign. 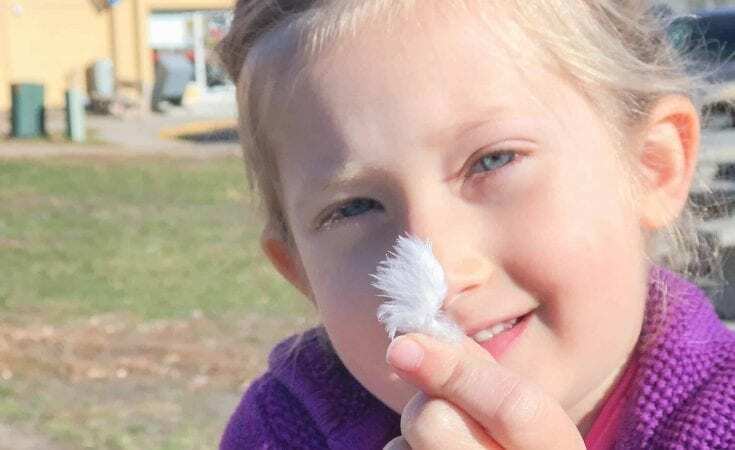 Have you ever found a white feather? Comment below and share your story.